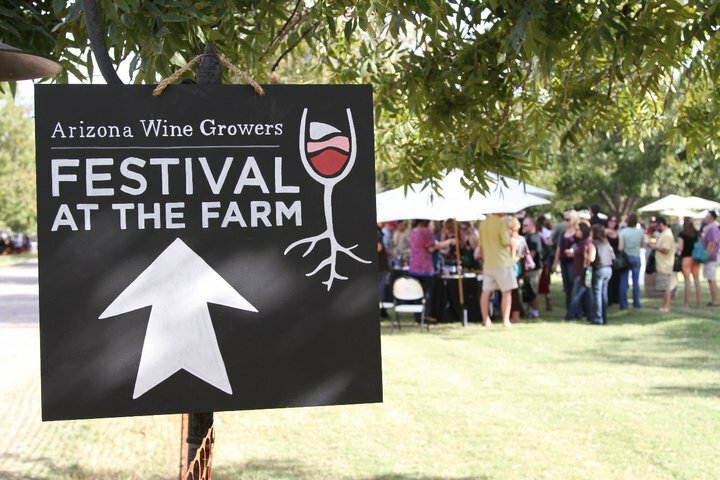 The 2nd annual Arizona Wine Grower’s Association Festival on the Farm was place to be in the Valley of the Sun this past weekend. The Pecan tree groves at The Farm at South Mountain provided a beautifully serene and intimate setting for an afternoon featuring dozens of Arizona wineries and winemakers. Over 700 guests were given the opportunity to sample award winning wine from over 20 of Arizona’s best vineyards and wineries and also meet and mingle with the wine makers themselves. In addition to sampling wines, guests were also given the opportunity to participate in wine seminars and also judge wines in the People’s Choice wine contest. Guests were given blind samples to rate while listening to panelists discussions led by moderator Richard Ruelas of the Arizona Republic. Panelists included FnB’s Pavle Milic, Dos Cabeza’s Patty Coughlin and Arizona wine broker Jim Wiskerchen. The People’s Choice winners were Merkin Vineyards Shinola and Arizona Stronghold Site Archive Bonita Springs Chardonnay.